Transfers were this week and Elder Collins unfortunately got the boot. He is now in the Sandy Willow Creek Stake in Sandy now, and I think he will enjoy it a ton because he is going to be in another really nice area! I am staying in Draper, and I am training now. 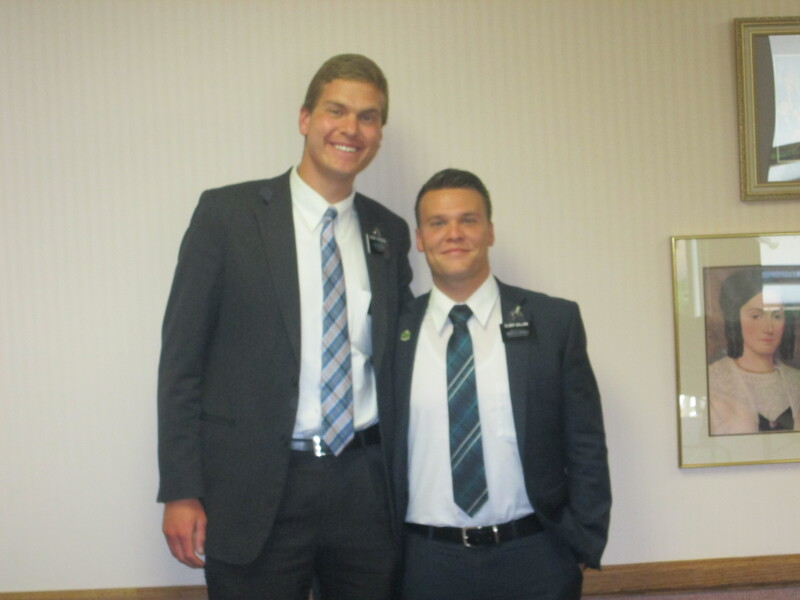 My companion’s name is Elder Bell and he is from Aztec, New Mexico. As of today he has been out for 6 days in the mission field so he has been a little shell-shocked about everything! This is his first time in his entire life where he has lived away from home so it has been pretty difficult for him the first couple of days, but I think that he should be able to adapt pretty quickly. Oh, and he is one of the 18 year old missionaries. 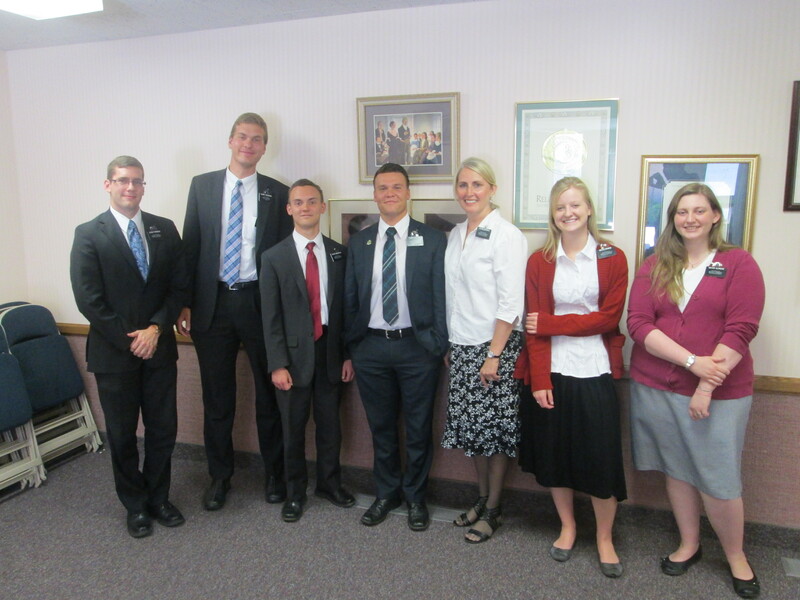 He graduated from High School on May 19th and went into the MTC on May 21st. I remember thinking about how fun it would be to train, but that thought has completely vanished. It is more hard work with a little bit of stress than it is fun. I have no idea what I am doing right now, and I have found myself slowly getting more and more irritated because there are many habits that you need to help your trainee break and others to help them develop. Their life is basically in your hands, and what you do with it now determines what type of missionary they will be in the future. I seriously hope I don’t screw this up whether it be for 6 weeks or the rest of my mission that I am with him. We are both starting to at least get to know the area a little bit more, but we have a lot more that we need to get done before we can actually say much more about the progress in the stake. We have one person who we are trying to help prepare for baptism; they were scheduled for baptism on the 14th, (this coming Saturday) but we are going to have to move the date back a little more so that he can go to the ward that he lives in more. It is a 9-year old kid named Kaden Askeroth that we are helping prepare for baptism this month. He wants to get baptized and everything so we are gonna help him out with that so that he can be a part of the crew. I remember saying that I was going to write you guys back as soon as I could, but I will try to see whenever I can. Since I am now training I will probably have to limit writing letters, so whenever some time opens up I will try to see what I can do. Sorry about all of the trouble! Please pray that I will not mess this new missionary up, but that I can actually get him off to a great start. I don’t want to regret anything after I am done with this. I hope that everything is going extremely well for y’all back home, and that your Summer is getting off to a great start! I love and miss all of y’all, and I hope to see y’all soon!